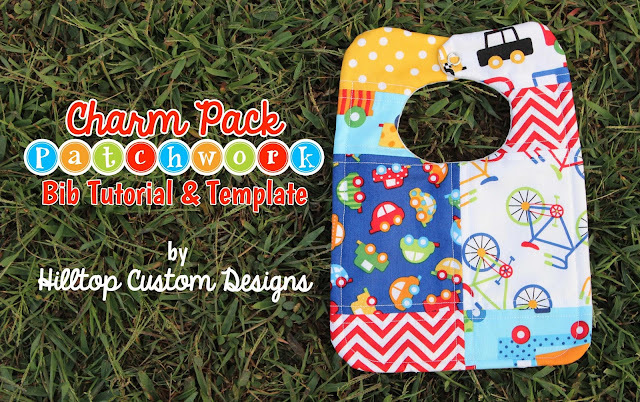 I have a new pattern release for you today! I have been writing up this pattern for a few days, literally. Pattern making is hard work... lots of photos to take a steps to detail and I'm always impatient to finish them but want to be very specific also. 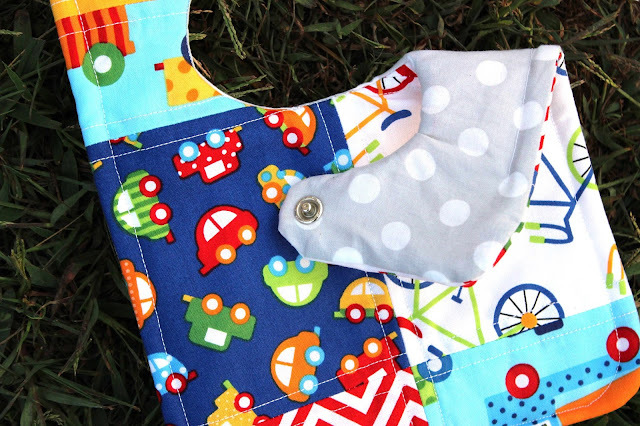 Charm Pack Patchwork Bib Pattern! Its VERY detailed and includes lots of photos for you! Click here to purchase the pattern on Craftsy or my Shop! *Pattern and tutorial was created by me. Please do not reproduce or distribute this pattern for free or sell it for your own profit. All rights belong to Hilltop Custom Designs.